Welcome to Traveling To World: The Smooth way to World Discovery > Asia > 20 Dreamy Destinations to visit in India in February! February has always been synonymous with ‘romance’. Everywhere you look, there are much-in-love couples, all shades of red painted across all kinds of confetti and love ballads are playing day and night in cafes and restaurants. But it is not only Valentine’s Day that makes February a special month, the weather all throughout the country plays a part too. In February, the winter chill begins to step back into the shadows and spring starts to show its sweet signs. The weather is primarily pleasant everywhere; in the North, the snow stops falling, but leaves behind a pristine playground for all kinds of adventure activities and in the South, the summer sun stays behind the curtain, making it the perfect time to explore its sceneries. If these aren’t enough reasons to inspire you to plan a trip in February, maybe the multitude of festivals that February hosts would help you seal the deal. 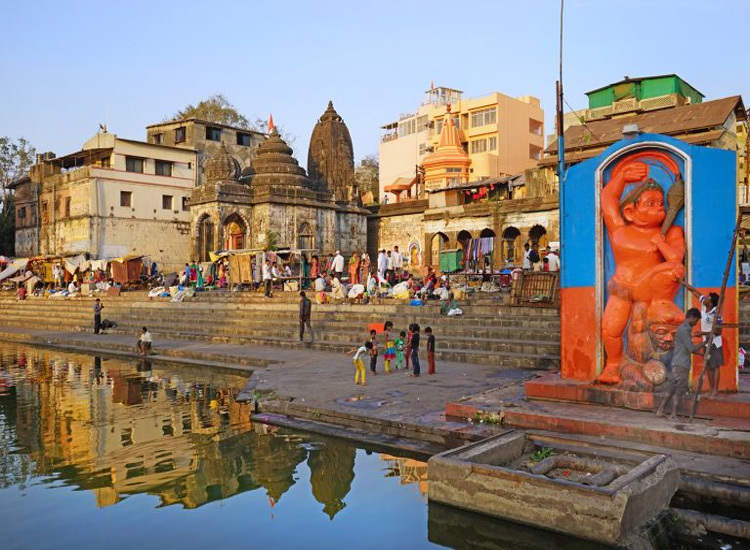 February is the last month in celebration of the famed festival of the region, the RannUtsav. 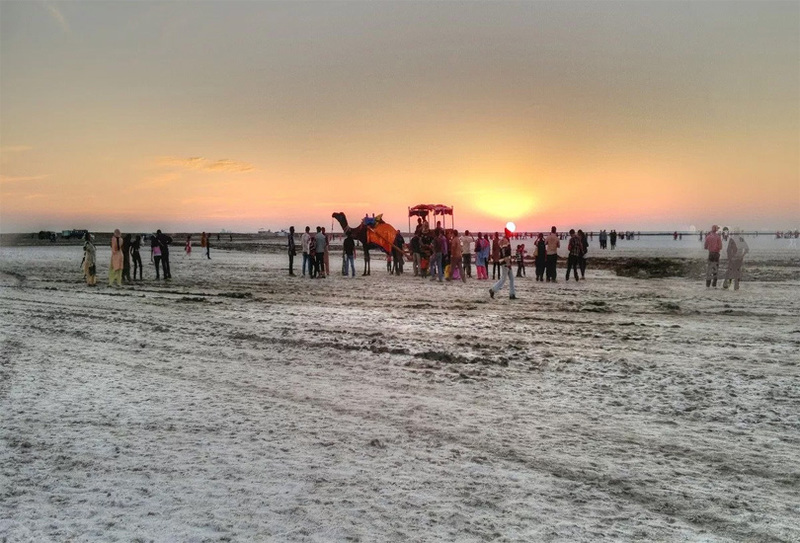 The largest salt desert of the world, Rann of Kutch in Gujarat is best visited in the winter months. Here, the end of the land meets the start of the sky and the sky is stringed with stars, much to the delight of stargazers. Enjoy the cultural performances, the folk music, camel rides and flavor some feasts. Add the rural gems of Narayan Sarovar and Dholavira to your itinerary to make it a wholesome trip. 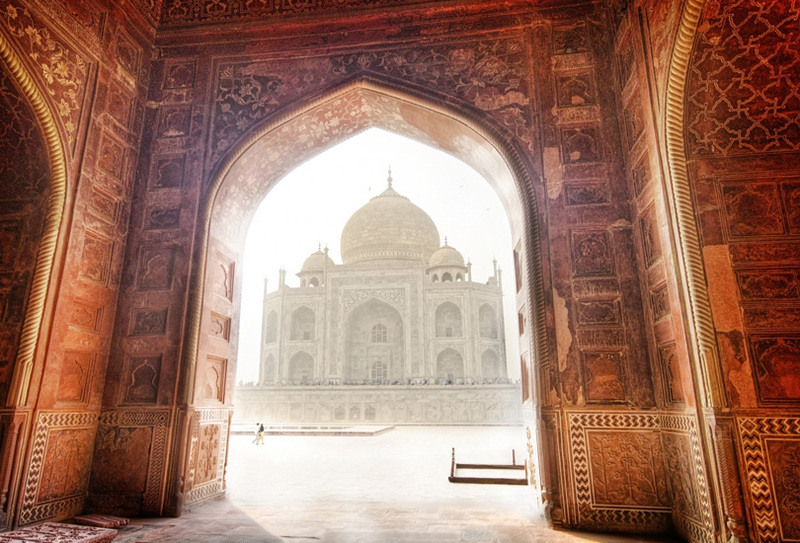 Where else would be better to celebrate Valentine’s Day other than the city that is home to the Taj Mahal, the ever-present symbol of eternal love. Stay for another week after the ‘Day of Love’ and partake in the festivities of the Taj Mahotsav in Agra, which is a 10-day annual carnival that celebrates India’s heritage, arts, dances, crafts, cultures and cuisines. Goa is, undeniably, the land of blissful beaches, but it is the many carnivals and festivals that add a colourful, cultural charm to the city. While February is a fantastic time to enjoy long walks on the beach and getting a tan, it is also when the city hosts the Goa Carnival, a cheerful celebration that includes street revelry, mask dances, floats, parades and flavorful feasts. To visit in February, book cheapest flights to Goa online at least three months in advance. 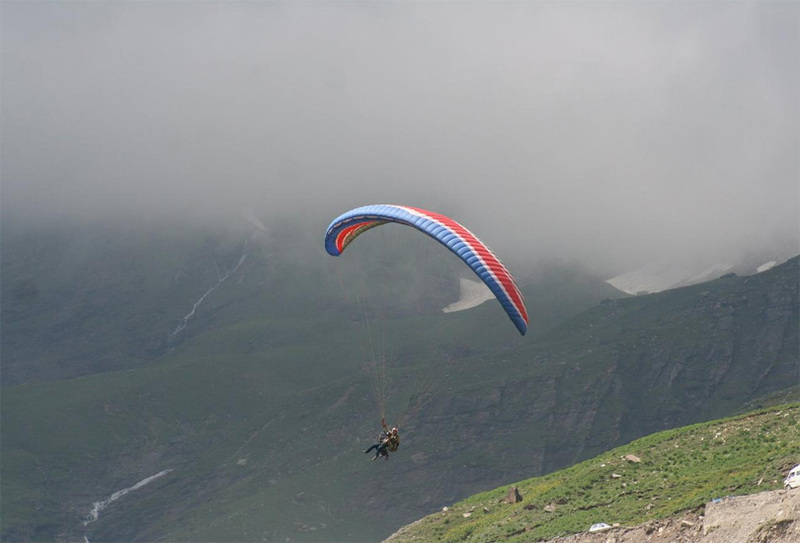 The paragliding playground of India, Bir is also famous for its monasteries and tea parks. It is best to visit in February as an offbeat destination, as the crowds avoid this during this season. The weather in this month is pleasantly cool. 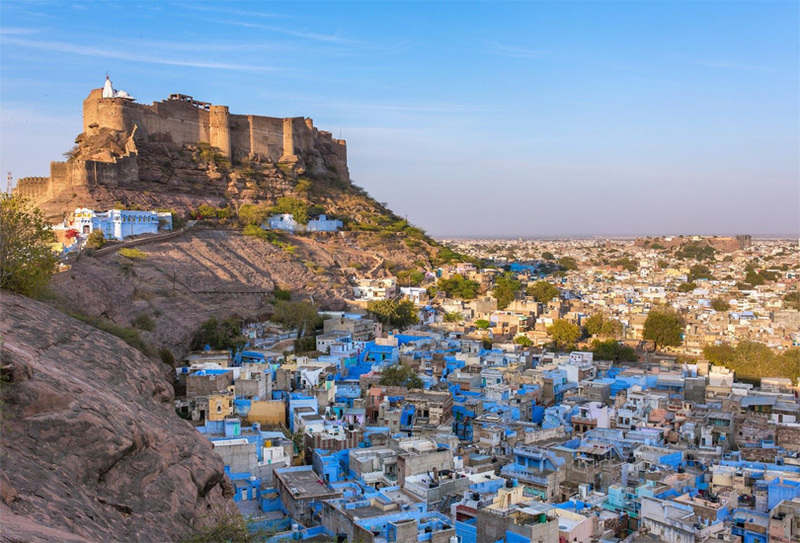 Also known as the ‘Gateway to the Thar Desert, Jodhpur is a city that delightfully blends the traditional with the modern. Popular as the Blue City because of the colour of almost all its buildings, the city is famous for its strapping forts, havelis and temples. February weather is ideal for a visit as the days are not too warm and the nights are not too cold. Also, the international Sufi Music Festival, a festival of music, dance and poetry gives you all the right reasons to plan a trip. A vineyard city, Nasik would be the ideal destination to celebrate Valentine’s Day in the company of wine and wonderfulness. If you need another reason, the city celebrates the Sula Fest with much fervour in the month of February. There’s camping, eclectic music, gourmet cuisines and a lot of fun. 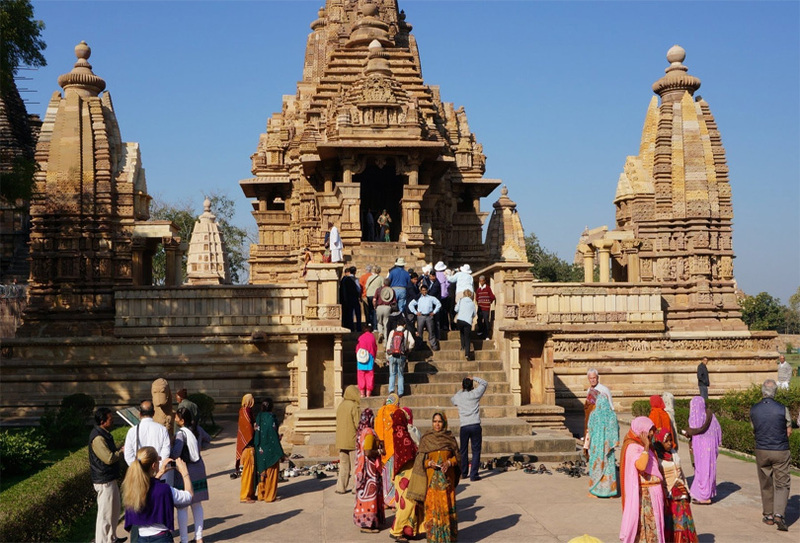 The breezy afternoons and evenings of February in Khajuraho are just perfect to linger a little more around its heritage monuments, wildlife sanctuaries and beautiful temples. The major highlight of this month is the Khajuraho Dance Festival which takes place every year. 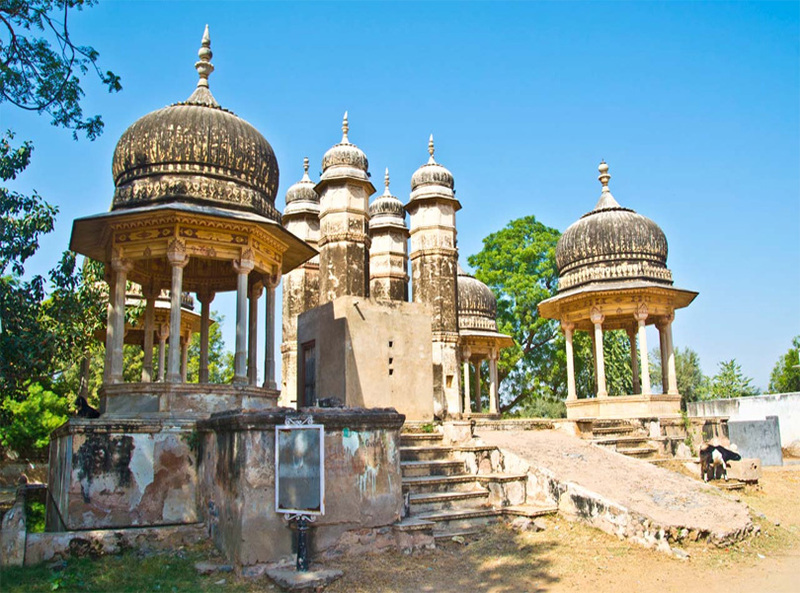 Don’t forget to visit Orchha, a tiny hamlet steeped in history, only a few hours out of Khajuraho. 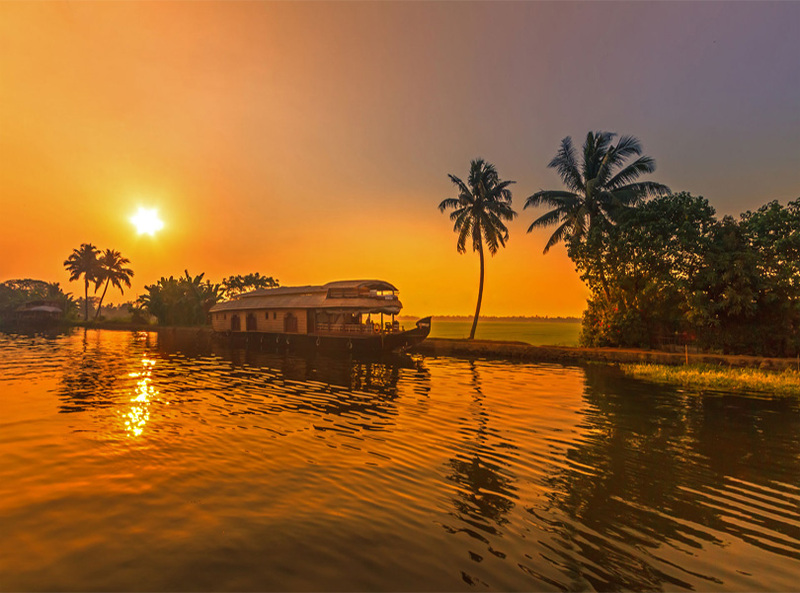 Straddle around in the backwaters of Kerala all snuggled up in a luxurious houseboat. Sounds heavenly, doesn’t it? Surprise your loved one with a trip to Kerala and celebrate Valentine’s Day in its romantic locales. Also visit Kasargod in Northern Kerala, where Kuttikkol Thampuratty Theyyam Festival is celebrated with much gaiety. 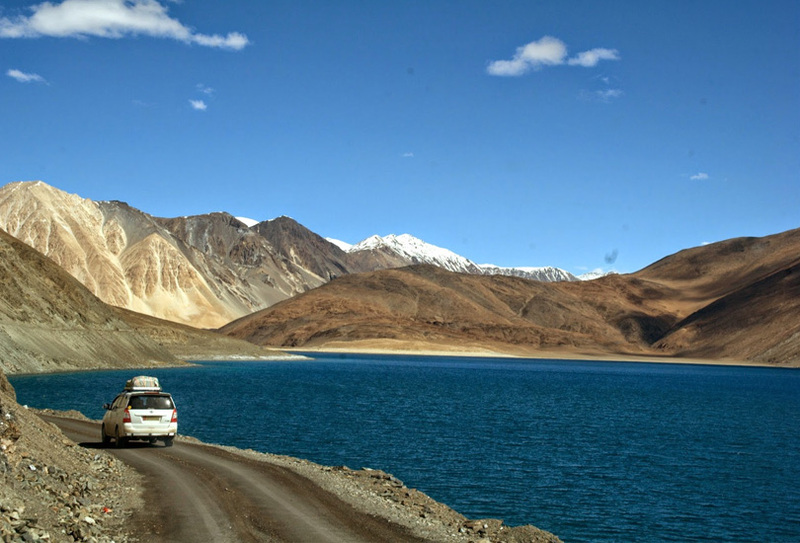 Visiting Ladakh in February would present an enticing opportunity – that of celebrating New Year’s twice. This month see the joyous celebration of the Losar Festival, the Tibetan New Year, which sees the illumination of the streets and houses, mask dances, food festivals and much more. February is a beautiful month in the coastal city of Puri, where the breeze is balmy and the surf is changing. It is also the time of the Indian Surf Festival, which is organized by surfers, yogis and nature lovers. 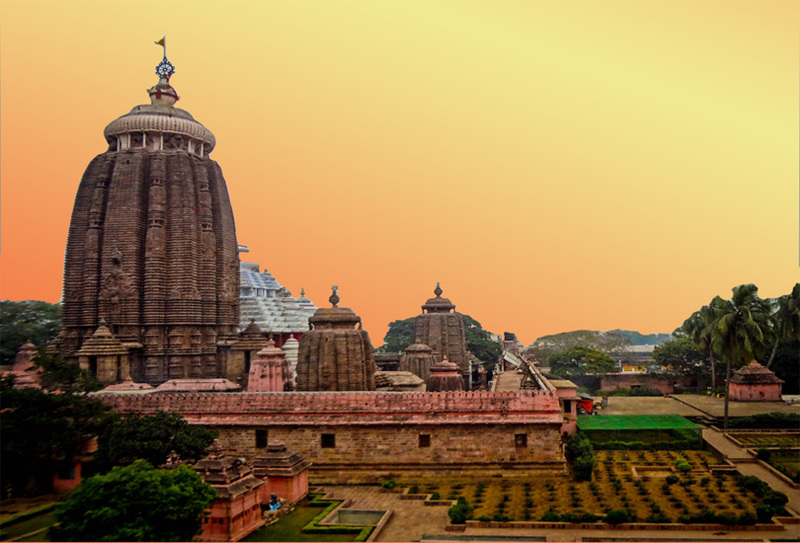 Take some time out to visit the spellbinding Sun Temple of Konark, located only 35 km away. 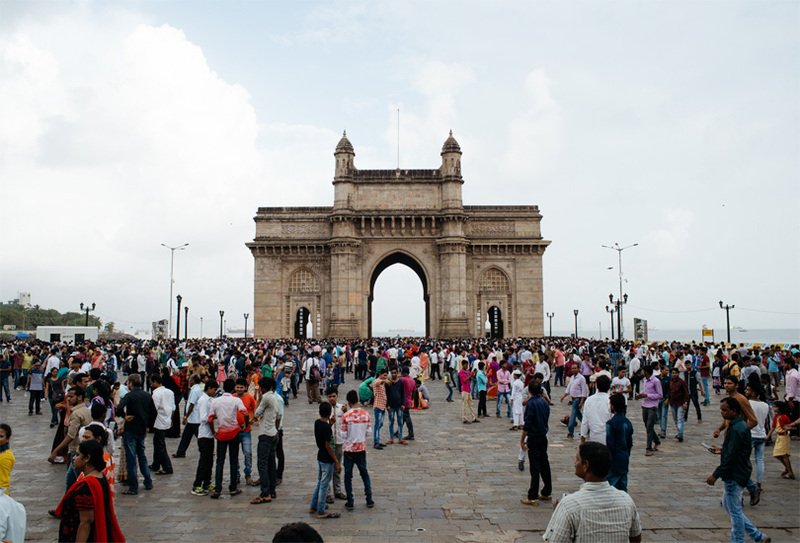 With favourable weather, Mumbai, the City of Dreams, is a must-visit in the winter months. Mumbai also hosts Indian Derby in the month of February, where in addition to horse-racing, you can also enjoy international aerial ballet, professional salsa dancing, and live music performances. 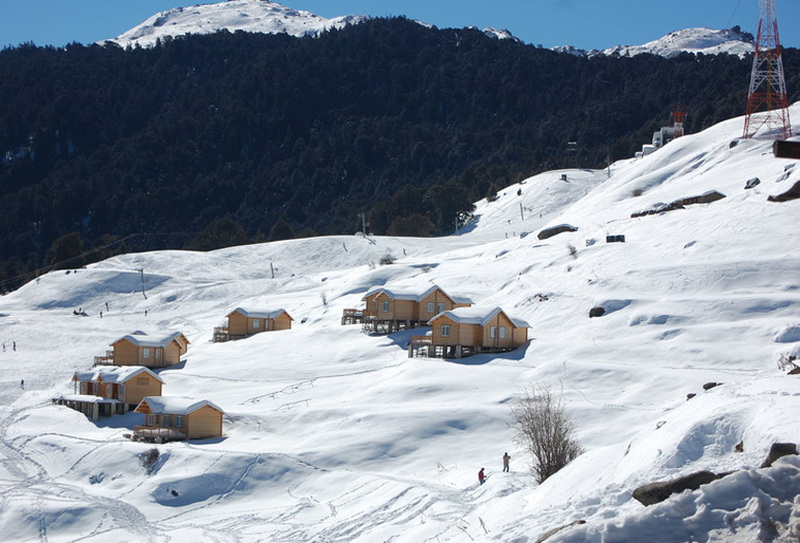 Located at an altitude of 2800 m, Auli in Uttarakhand is a ski resort destination surrounded by some of the most splendid sights of the mighty Himalayas. If you are a ski enthusiast or an adventure seeker, a visit in February is must, as the snowing stops but leaves behind a powdered playground perfect for skiing and such. 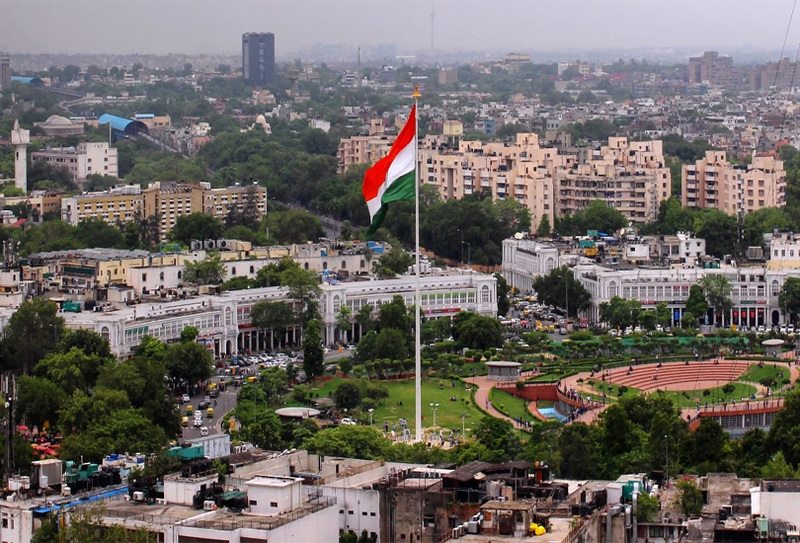 February in the capital city of India is a happening month with the opening of the Mughal Gardens as well as the most-anticipated Surajkund Mela. Witness the Tulips and more than a thousand varieties of roses in full bloom and enjoy the finest handlooms and handicrafts fair of India in Surajkund, only 15 km away from the city centre. 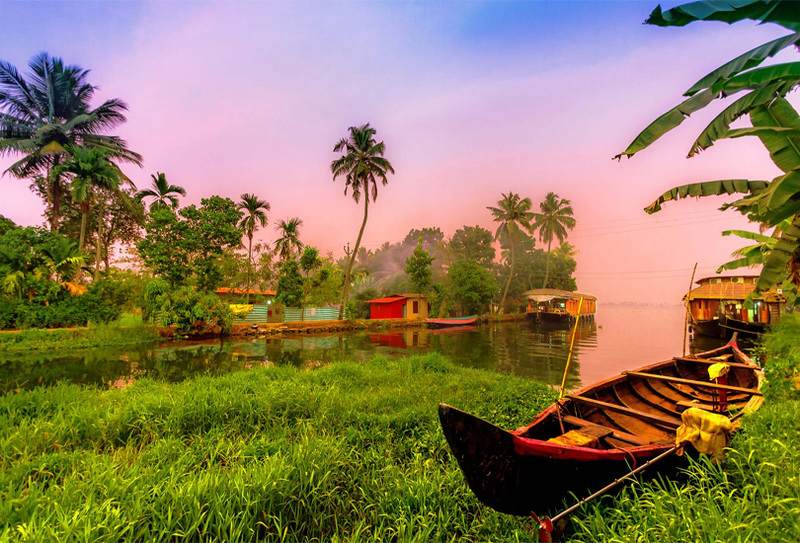 If the backwaters and beaches of Kerala aren’t enough for you, you can always partake in the state’s cultural celebrations. Enjoy the Pariyanampetta Pooram Festival that is held in mid-February every year, where the temple fest features a procession of 21 decorated elephants, shadow puppetry and folk arts like Kathakali and Chakyarkoothu. 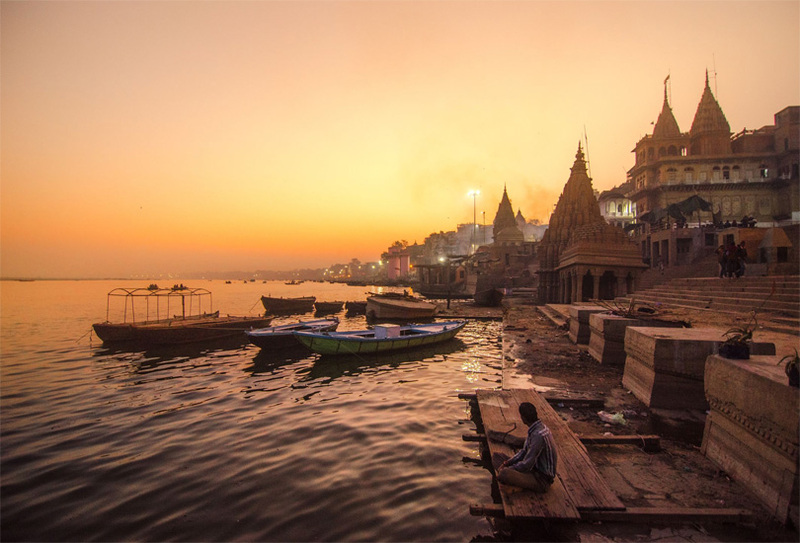 The spiritual capital of India, Varanasi is not just for the salvation seekers. The pleasant weather around this time of the year makes it ideal to sit on the many ghats of the river Ganga and enjoy a quiet sunrise or sunset. Most celebrated for its painted havelis and lavishly constructed monuments, Shekhawati is a must-visit in February to enjoy the Shekhawati Festival. A desi-affair, this festival also includes cultural programs and activities like Mehendi and Rangoli competitions, Matka Race, Tug-of-War and Folk dance and music performances. 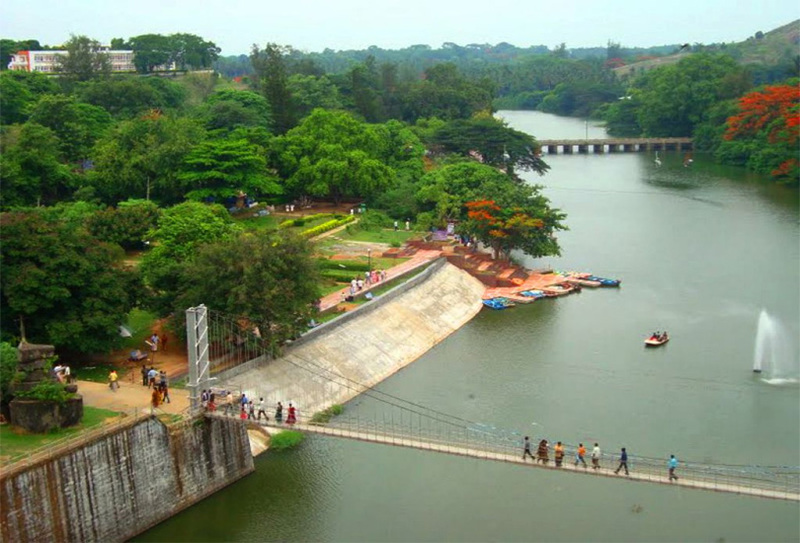 The cool breeze and moderate temperature of Feburary make Coorg an exotic vacation getaway, especially for the romantics. 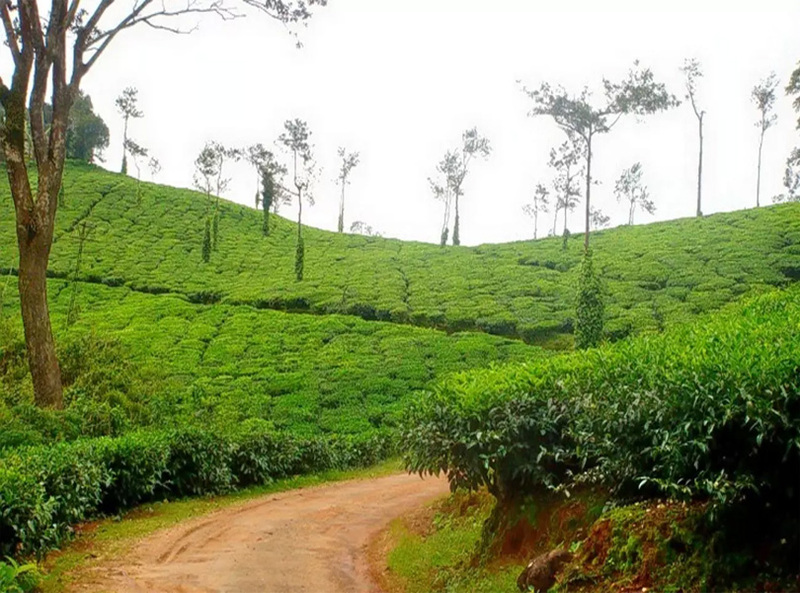 Walk hand-in-hand through the picturesque tropical gardens and the many coffee and cardamom plantations. 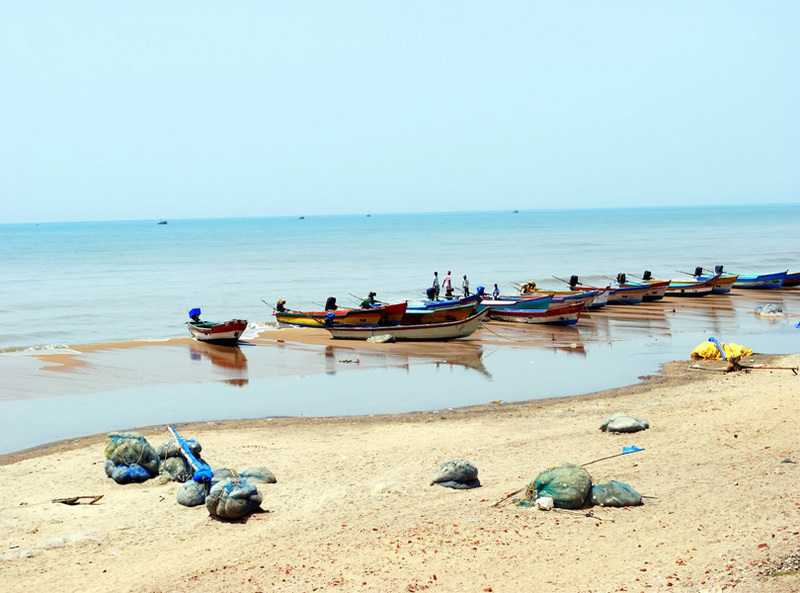 The ‘Land of the Singing Waves’, Tranquebar is one of the more underrated attractions of India, which works in your favour if you are looking for peace, calm and romance in a beach destination. See some fine examples of Danish architecture while you are here. 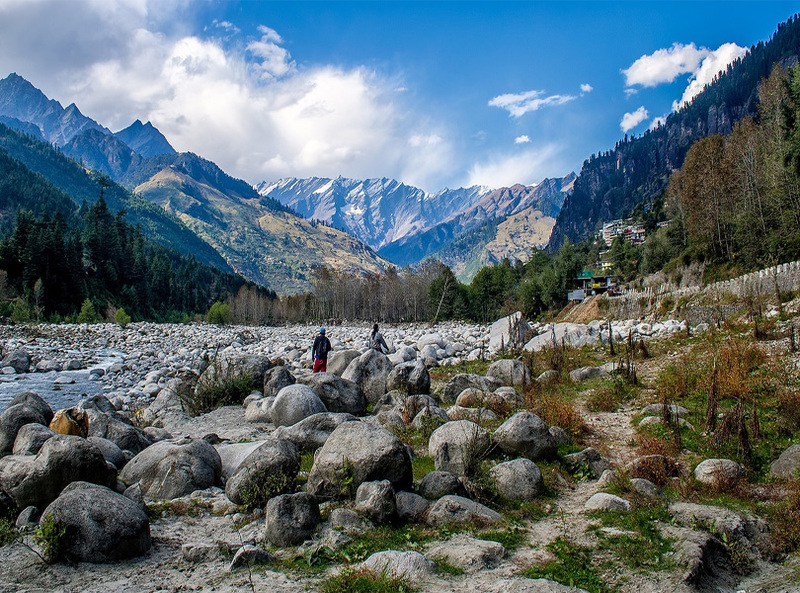 Manali is a favoured destination all throughout the year, but why February should be your month of travel is because tourists are fewer around this time and it is not wickedly chilly. The cold is moderate, so you can enjoy the open outdoors and cuddle up with your loved one inside. 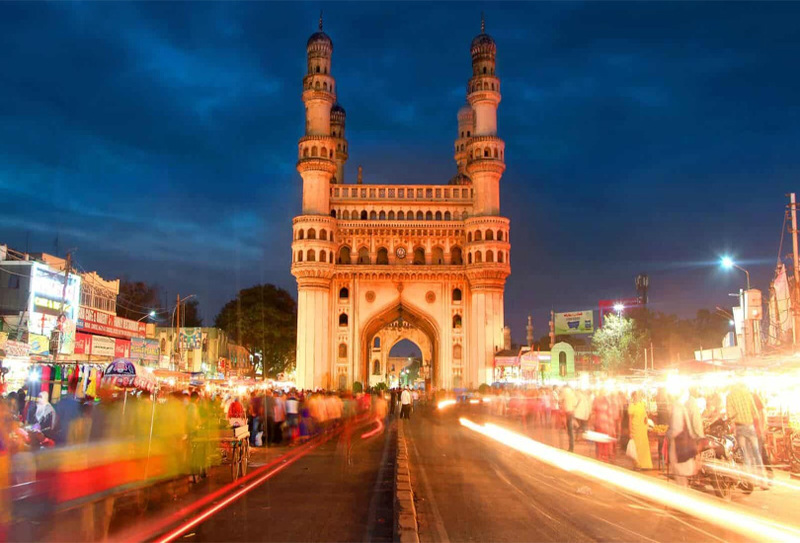 With popular historical landmarks like the Charminar and Golconda fort, Hyderabad takes you back to glorious eras of the past. The lip-smacking cuisine and vibrant local life are worth checking out. Visit in February to attend the five-day long Deccan festival which highlights the arts, culture and Nawabi cuisine of the Deccan region. February is pretty much the perfect month to travel in India considering the weather as well as the festival factor. So, whether you are looking for a romantic escapade or looking to explore the many cultures of different states, February is when you should plan your trips to the above-mentioned destinations.